Organize your cables into one handy dandy area with the modern desk cable organizer. 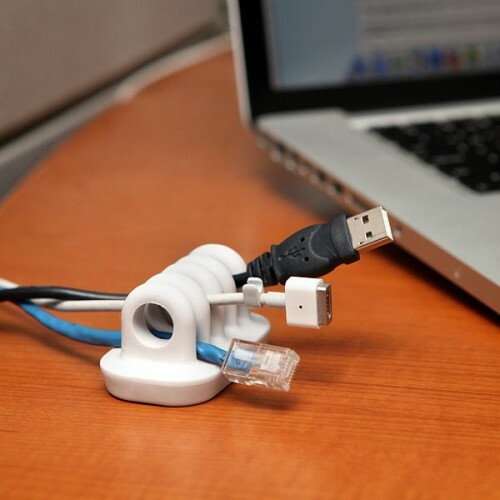 The cable organizer holds on to the ends of your cables when not in use, so that they don't fall of the end of your desk, and when you are using the cables, it keeps them organized, parallel and neat so that they aren't going every which way. 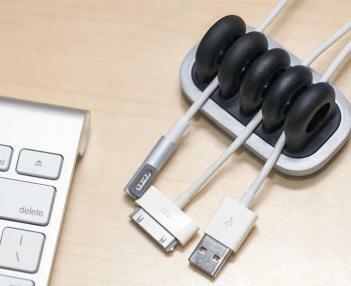 The cable organizer has 5 rubber grips that give you 4 slots that you can stack cords on top of one another so that it can hold a lot of diffent cables at a time, such as a power cords, usb cables, cell phone chargers, or headphone cables. 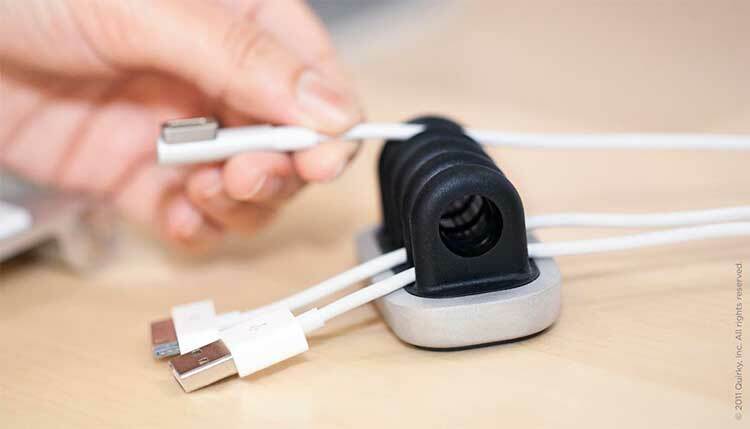 The cable organizer also has a weighted base to keep it stable and not move around everywhere when in use.